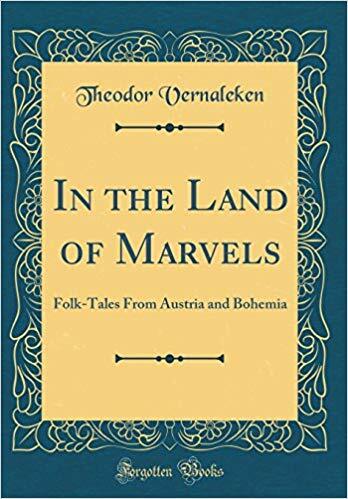 The sixty tales included in this book were collected in Lower Austria and Bohemia in the second half of the 1800s by a professor named Theodor Vernaleken. He gathered them from the oral tradition, aiming to create a supplement to the already famous Grimm collection. 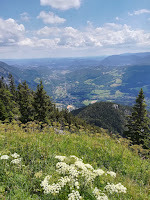 While the language of the stories is sometimes a little hard to follow, there were quite a few great, unusual fairy tales in the book; I left out the Bohemian ones from this post with a heavy heart, but I highly recommend reading them! Each story comes with notes, including the place where it was collected. I really enjoyed the tale of Stupid Peter (despite the horrible title), in which a peasant boy found out about a magical castle from a knight, and proceeded to conquer it. He cot in through various tricks (including luring a lion into a bag, and throwing bacon at a dragon), and made friends with a woman named Pest. He threw an apple to an evil giant, and the woman got into the giant's stomach with the apple, and killed him. Don't eat unwashed fruit, children. The story of Wild-Cat, regardless of the title, was not an animal tale, but a wild fairy tale adventure. The hero had for a godfather a wild man who rode a large black cat, and gave him gold (some godfathers are better than others). Wild-Cat fell in love with a princess, and even after the king kicked him out of the court, he managed to save the palace from being pillaged by robbers. The story of Winterkolble was familiar, and yet unusual. A girl exiled from home (Grete, without Hansel) was raised by a dwarf, who only let a prince marry her if he could guess his name. When the prince did, the foster-father went back to the woods, since he did not want to live in a castle. Dwarves like him figured into other stories as well, in various ways. In The tailor and the hunter the two travelers lived with a dwarf for a while, but only the tailor treated him politely and kindly. When the hunter later left him in the underworld to die, grateful dwarves built him a staircase back to the human world. Dwarves were less kind in the story of Hondiddledo and the Fiddle. The tale started out with three brothers having to guard a tree of golden apples - but unlike the usual form, this time even the youngest one failed, and he fled into the world to avoid punishment. He encountered "small men," who tricked him out of his fiddle and his money, until our hero committed suicide in the end... Another tale with a similarly dark and unexpected tone was that of the Nine birds, in which a princess murdered nine of her suitors, until the tenth managed to outwit her with magic. The nine ghosts turned into nine birds, and sang the princess' guilt until she repented, at which point they turned back to men, and forgave her. I found a very pretty version for the Golden-haired Gardener folktale type in this book. The hero was called Ferdinand, and he was helped by a white horse; he gardened only at night, wearing an outfit studded with stars, and gathered milk from a wolf, a bear, and a deer to cure an old king. My favorite moment was when the king still refused to allow his daughter to marry a gardener - at which point the princess "became enraged", and demanded the marriage. The Brementown Musicians in this case were led by an old tomcat, and set out on Saint Martin's night to seek a new home. The Brave Little Tailor ended up in a kingdom where clothes were forbidden and tailors executed, but lucky for him, he multiclassed as a giant-killer, so all was well in the end. He got help from an old woman who handed him a hedgehog and a bird (bird was used as a "stone" in a throwing contest, while the hedgehog doubled as a bowling ball). In the end, the tailor-made-king used his magic scissors to cut good men out of bad ones, and his thimble to repair the wounds of soldiers. In the story of the Outcast Son the hero was raised by a friendly giant, who also gave him advice on where to find a wife. However, when he stole the crown of a fairy maiden while she was bathing, the girl smacked him and got her crown back. Twice. Girl Power! Once again there was a man seeking his luck (or rather, going to God to ask why he was not giving For one kreutzer a hundred, like the priest promised when collecting alms). There were also familiar tale types like Frau Holle (who was not making snow fall, but did have some souls trapped in bottles), Raven brothers, Catskins, Twin princes, Rabbit-herd, Gifts of the Wind, Magic Flight, and Animal Bride (except in this case the bride was a nightcap, instead of an animal...). 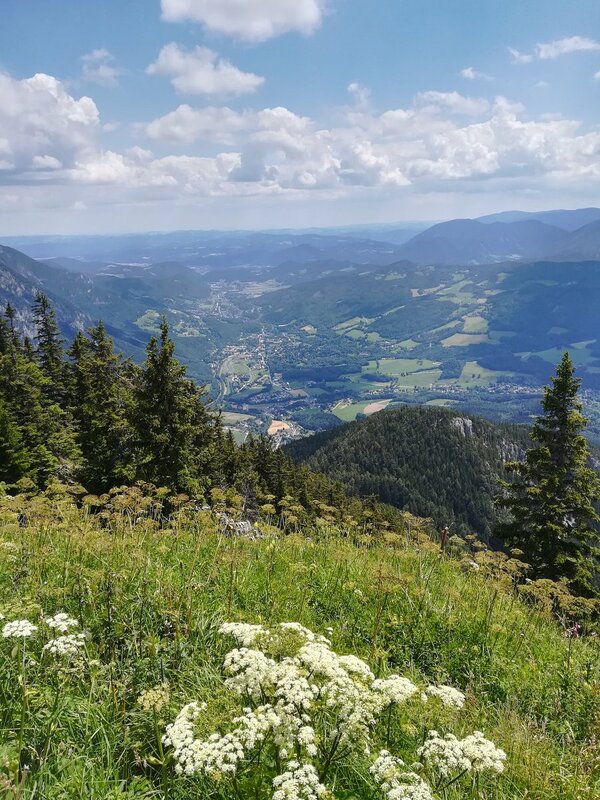 There was also a magic tree that a hero named Hansl climbed, visiting old women named after the days of the week, and when he reached the top he just... stayed there, end of story. The 'Shepherd and the Dwarfs' tale makes me wonder whether Tolkien read a version at some point in his teaching career as he was fascinated by ancient storytelling. Or coincidence?